I recently returned from South Africa. 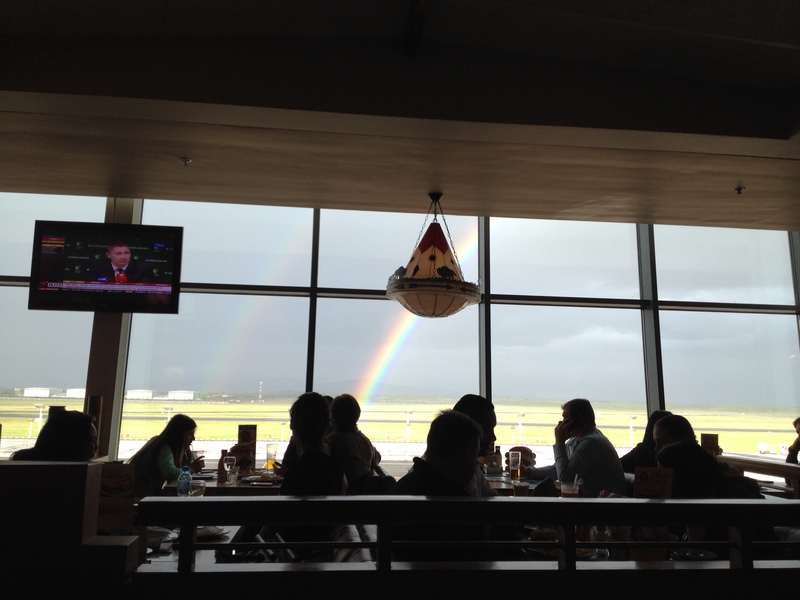 My last photo there is looking out at a double rainbow at Cape Town airport. Many times during the visit, I realized God is wherever I am in the world. He was there before I arrived. He’ll be there after I depart. He promises to be by my side always. Personally, I try not to use “always” and “never” unless I am absolutely – 100% – certain. God uses “always” and means 100%. It’s hard for me to imagine anyone wanting to be with me 24/7/365, let alone forever! God is faithful and wants to be with me ALWAYS! Amazing grace how sweet it is! Yes, He loves us with a passion! And, I have wonderful adopted siblings!